Our artist study resources make it easy for you to introduce your children to the masters of fine art easily, inexpensively, and without spending a ton of time compiling all of the information yourself! We’ve combed the internet to find the best available resources, reviewed them for their educational value, and have previewed everything to make sure that any potentially objectionable content is known to parents in advance so you can determine appropriateness for your own children. (especially helpful with art!) We have compiled and organized our findings into an easy-to-use single page that includes all links, videos, and information for you, so you can easily get using the materials that best suit your family. 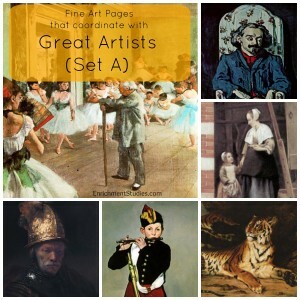 Your family will love these videos, fun printables, biographies, and more. The videos, in particular, are so helpful for pre-readers, dyslexic kids, and others that struggle with reading or shouldn’t read on a screen. The videos also free up mom for other things while the kids are happily learning! 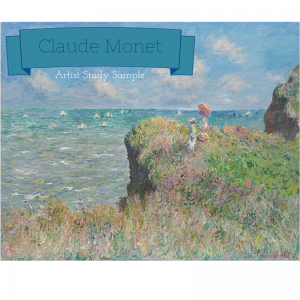 Check out our Claude Monet resource here. All of our Artist resources are formatted the same way, and are accessible in a members-only area. 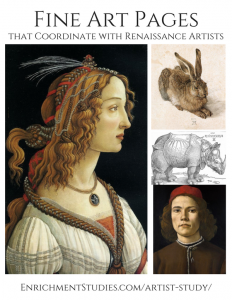 Your study of Renaissance Artists will be enhanced by this beautiful collection of 33 printable works of art. 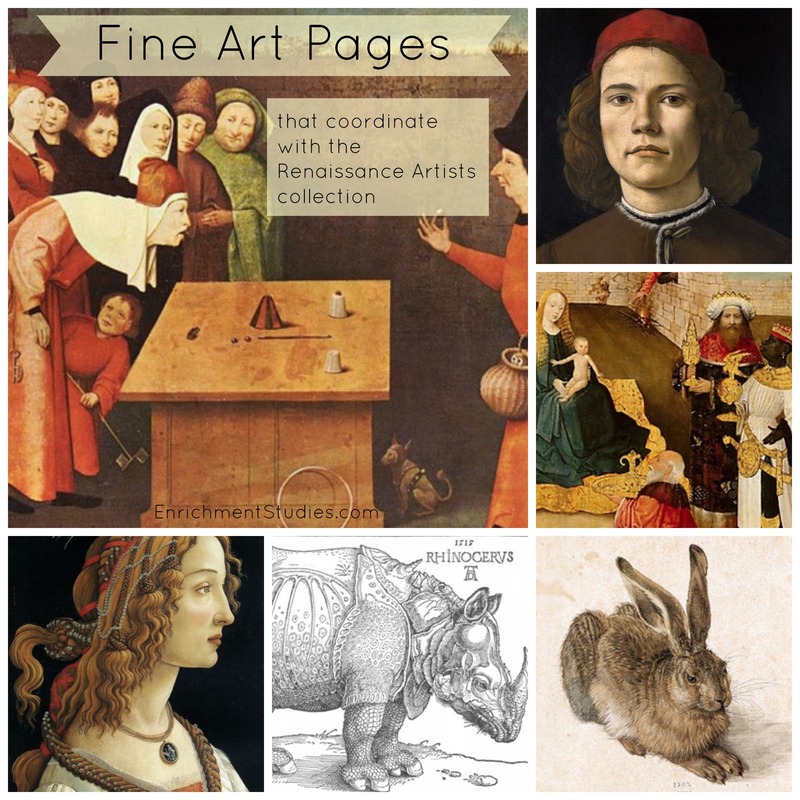 Designed to familiarize your children to fine art easily, painlessly, and without adding to your teaching burden, there are 3 printable works per artist that is shown in the Renaissance Artists collection. These downloadable PDF files includes suggestions for how to implement this product around your home. There are 2-3 pieces of work per artist. Enjoy learning about 8 famous artists that lived from 1840-1989. I have wanted to expose my son to music and artists for a long time, mostly because I am not into either of those. It just feels like sometimes it is easiest to drop from the daily schedule. The time and energy you have put into these is obvious and has been a huge blessing to our family! Thank you so much!! I just felt the need to let you know how much I appreciate your enjoyment and knowledge of art and artists. In my public school education, I received absolutely no information about art. With homeschooling, I wanted to make sure our daughter has the chance to appreciate good art. However, I had no idea where or how to start, until I came upon your website. 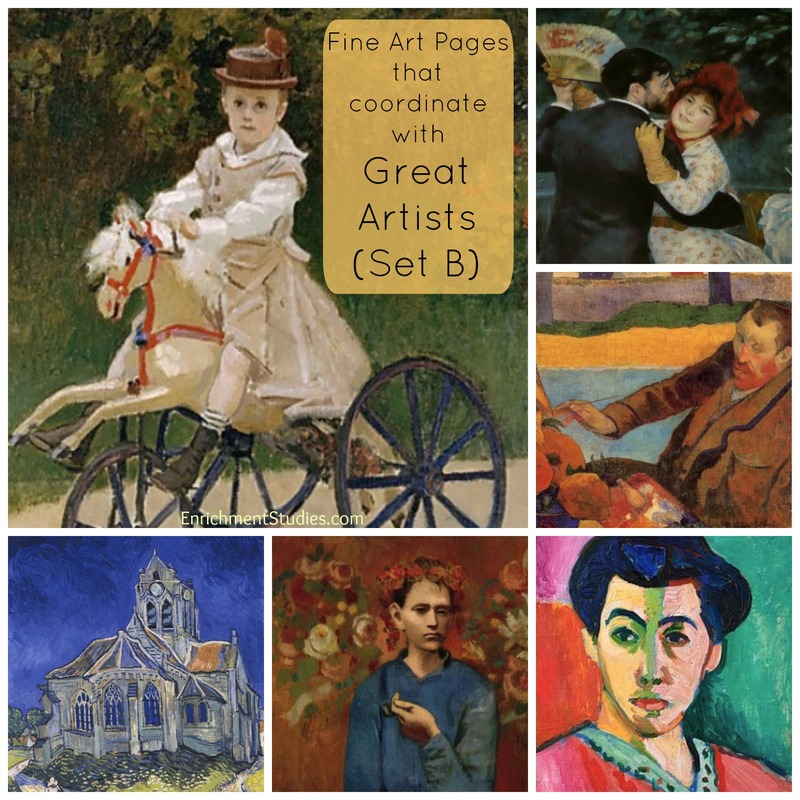 Your collections are printed, placed in a plastic sheet, and either looked through in our art notebook or hung up, one at a time for a few weeks at a time, on various door knobs throughout the house in order that art be around and available to enjoy. 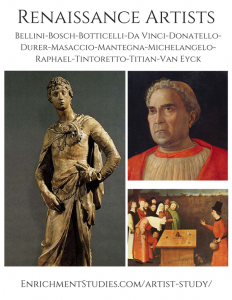 Thank you for opening the world of art and many of its’ artists to us! I want to thank you so very much for all of the detailed and extensive unit studies that you offer!!! I used the Johann Sebastian Bach in the fall, and next month I will be using the Ludwig van Beethoven from your composers set. 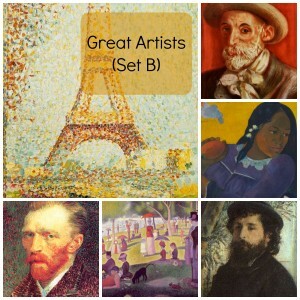 Also, I used Vincent Van Gogh during the winter from your artists set. 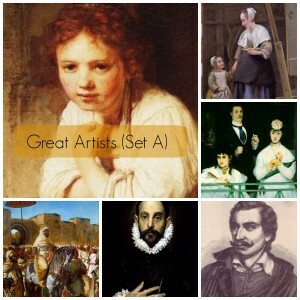 I need to get going on your poets and inventors set, too. These have been such a wonderful extension to our fine arts portion of our homeschool. Thank you for all of the artists’ freebies, too. Your site has a wealth of educational and fun ideas. Thank you, thank you, thank you!! !